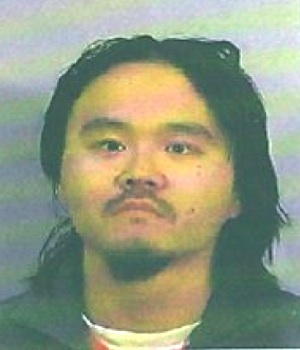 United States Attorney Benjamin B. Wagner announced that Jared Sung Yoon Herdt, 30, of Sacramento, was sentenced today to eight years in prison for his commission of a series of bank robberies. The sentence was imposed this morning by Senior United States District Judge William B. Shubb who also ordered that Herdt serve a three-year term of supervised release upon his release from prison. This case was the product of an investigation by the Sacramento Violent Crimes Task Force, which includes the Federal Bureau of Investigation and the Sacramento County Sheriff’s Office. Assistant United States Attorney Michelle Rodriguez prosecuted the case. Bank of America, 1821 Pioneer Parkway, Springfield, Ore. on January 16, 2009. For purposes of restitution, Herdt also admitted robbing a Wells Fargo Bank at 9407 Madison Avenue in Orangevale on April 25, 2009. During the robberies, Herdt claimed he had a firearm. The task force dubbed the him the “Skateboard Bandit” because tellers in some robberies reported that the robber fled via skateboard to an unknown location where he had a getaway vehicle. On April 27, 2010, a search of a stolen vehicle recovered in Sunnyvale resulted in the recovery of $4,900 in cash, a loaded 9 mm semi-automatic pistol, a skateboard, and a receipt for a dentist in Oregon. The dentist positively identified surveillance photos of the bank robber as Herdt. No Comment to " Skateboard Bandit Gets Eight Years in Prison for Bank Robbery "